Here are times you just crave chocolate. Chocolate Fudge. You want it now. Not in a few hours. And it’s summer. It’s hot. I really don’t want to spend any more time in the kitchen than I have to. Now that doesn’t mean you can’t make this fudge any time of the year. It would make a great gift for family and friends during the holidays. Or a last minute (literally) addition to a party spread or potluck. This is all you need. Sweetened Condensed Milk (not evaporated milk) Chocolate chips and some vanilla extract. You could also change out the vanilla for another extract to create unique flavor combinations. Think mint, almond or orange. Butter a square pan and line with parchment paper for easy removal of set fudge. Set aside. In a microwave safe 2 quart bowl, heat chocolate chips and sweetened condensed milk, on high for 1 minute. Remove from microwave. Let sit for 1 minute, then stir to combine. If needed, heat an additional 30 seconds. Stir until chips are completely melted and chocolate is smooth. Store in an airtight container. 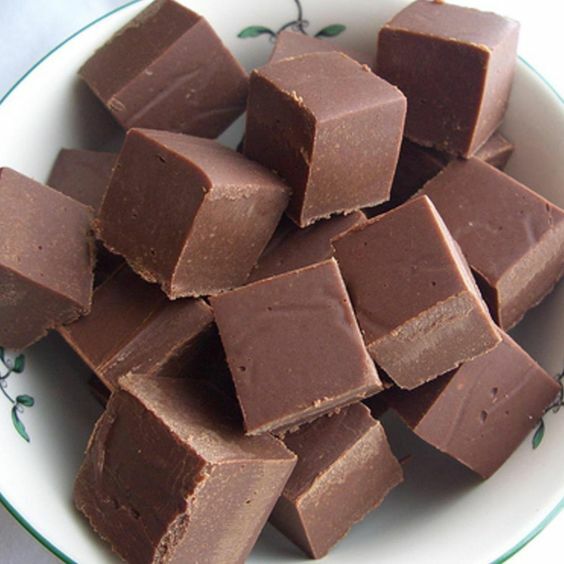 Fudge does not need to be kept refrigerated.